Manta Rays in the Maldives are the same species as Manta Rays all over the world, although at one time they were thought to be different. The manta ray lives in warm, tropical waters particularly in the Atlantic, Pacific and Indian Oceans. Manta Rays in the Maldives are considered one of the big 5, and diving or snorkelling with these majestic animals is a thrilling experience. I have snorkelled with the Manta Rays in the Maldives and it remains one of the best experiences of my life. Manta Rays are diamond shaped flat creatures that have a smooth greyish back with a unique set of markings. Their underside is white or spotted and is marked by a set of gills. Manta Rays have triangular pectoral fins, horn shaped cephalic fins located on each side of its big mouth. They are placed in the eagle ray family. Manta Rays in the Maldives weigh up to 5,000 pounds, they have a wingspan up to 25feet. They have no sting in their tail and are completely harmless. They glide through the water effortlessly. They are filter feeders, which means they eat large quantities of zooplankton, which they swallow with their open mouths as they swim along. Although they have very big mouths their teeth have disappeared with evolution, leaving only a row of non-functioning, stunted teeth on the lower the jaw. 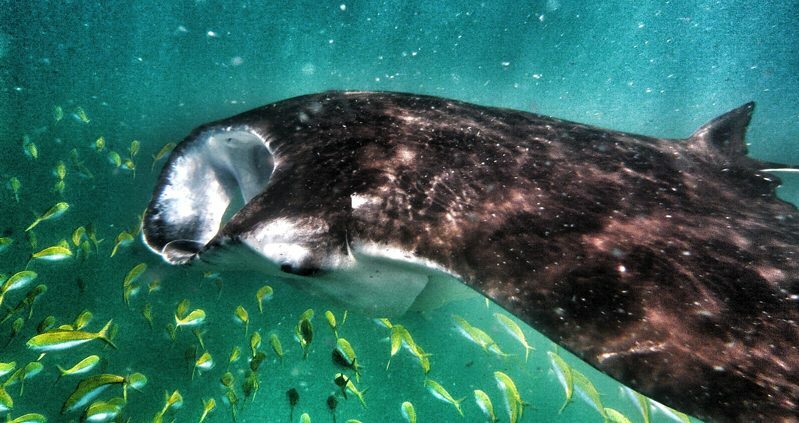 Manta Rays in the Maldives are easily found, making the Maldives one of the best places in the world for diving or snorkelling with Manta Rays. Thousands of scuba divers come to the Maldives every year for the almost guaranteed manta ray sightings. Manta Rays in the Maldives can be found all through the year, although very little is known about their migration patterns, in the Maldives in the Northeast Monsoon season the diving is best on the western side of the atolls, but in the Southeast Monsoon season, manta rays in the Maldives can be spotted more easily on the eastern side of the atolls. Manta Rays in the Maldives are now protected. 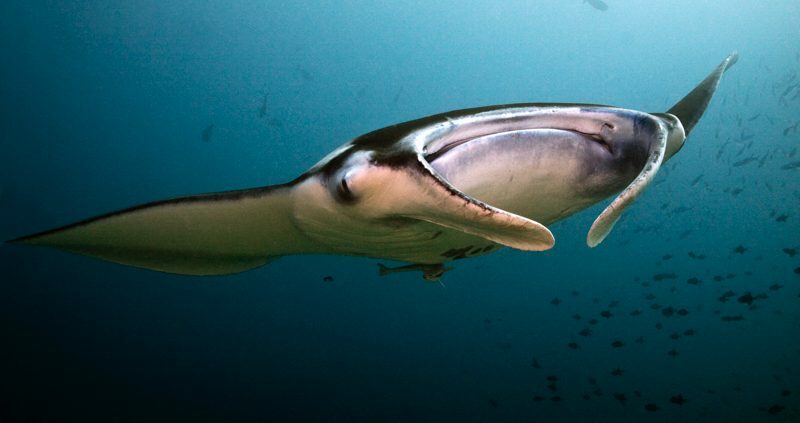 Stopping people buying manta ray meat at the market helps to increase their chance of survival.